Your Content is just ONE TOUCH AWAY! With the growing number of content providers, watching TV is more difficult than before. There are several steps involved in the TV Watching experience: starting from turning the devices on, to finding the proper input and launching the desired content. What if one touch could automate these steps and get users to their content? This is what QuickSet's One Touch View feature does! Other solutions rely primarily on HDMI-CEC support to achieve the One Touch View functionality; however, these solutions miss One Touch View compatibility with the large portion of the install-base which lacks CEC support or has it disabled by default! 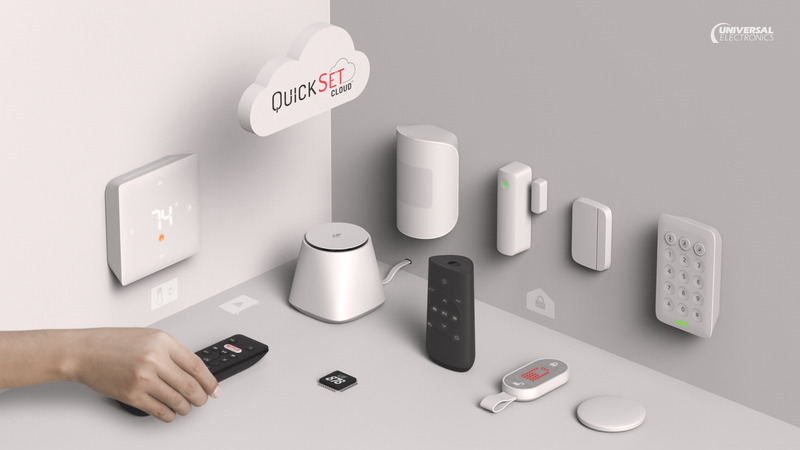 QuickSet offers a solution that does not have these shortcomings, by leveraging the largest knowledge graph of devices with HDMI fingerprints and infrared control codes to switch between inputs on a much wider set of devices, expanding the compatibility and benefits to the end consumer. A QuickSet enabled device automatically discovers the connected devices through a series of unique fingerprints. It then configures the remote control automatically so that a single key will power on the devices, switch to the proper input to get to the content, and map the volume to the appropriate device. This is all achieved by the One Touch View feature within QuickSet. With over 3 times the coverage than other solutions, QuickSet reliably takes users to their content with a single touch. Making watching TV pleasant again!